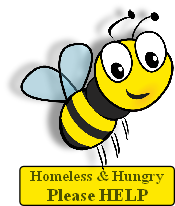 Give Bees a Chance is a registered charity based in Oxfordshire, England which promotes the conservation of the Bee and aims to increase the public awareness of their plight. Recent reports of catastrophic declines in bee populations have had scientists buzzing around looking for a plausible explanation. Read more….. When I was approached by an ex-student to help the British Beekeepers’ Association in a campaign to research the causes behind the collapse of bee numbers in their hives, I was initially sceptical. After all, there was evidence that the varroa mite, malnutrition and maybe even agrochemicals are involved. The leadership of the Beekeepers was determined to succeed. I had also spoken at Rothamsted Research Centre and heard how funding for bee research had dried up. I asked myself the question: Why does it always seem that in the UK we close research just when it is most needed? We have found this with BSE and Foot and Mouth just when they became national issues. I joined the campaign. Read more…. The UK voted against a ban, but enough countries voted in favour that the vote was won. The pesticides will now be banned across Europe. Our bees are in danger, three species of bees are already extinct and others are in rapid decline.